Software projects take effort to manage; that’s indisputable. In order to ensure that we’re spending our time in the most productive way, we make sure that the tools we use to help manage our projects are lightweight and focused on tracking useful information. Our development team usually prefers Pivotal Tracker and our design team likes Trello. No tool is perfect, but these two seem to have the right balance of flexibility and ease-of use while providing visibility into a team’s progress toward a goal. Some of our clients ask us to use their internal tools. Often, that means we use Jira. “When in Rome...” we do as the Romans do—almost. Out of the box, Jira’s Agile module (now baked into the latest version of Jira) meets most of our needs, but still needs a few tweaks to make it resemble our Pivotal workflow. 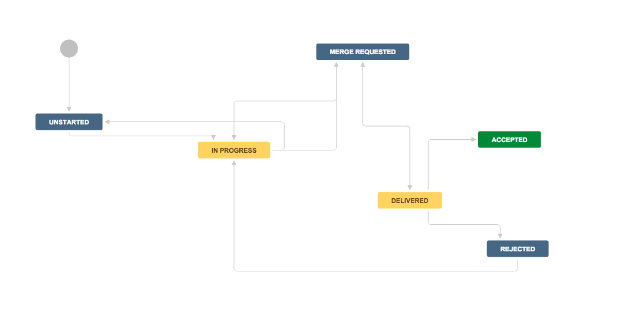 This article addresses the ways we configure Jira's workflows to support a lightweight process that fits with Lab Zero’s agile software development practice. We used the settings described below in our Jira 6.x installation. The same settings are possible with Jira 7 (the latest-and-greatest) which has incorporated most of the Agile Plugin's features. If you’re using Pivotal Tracker or a kanban tool for your engineering teams, this will be familiar territory. For this article, we’ll assume that you’re familiar with Stories, Chores (Tasks), using a point-system for sizing stories and calculating velocity. We’ll unpack these topics in later blog posts if you want to dig deeper. Just let us know! Yes you read that correctly: We even use Jira for managing our design backlog. Transparency and prioritization are important in all phases of agile projects. Design’s priorities and the status of tasks should be visible to anyone on the project. This transparency can go far to assure nervous stakeholders, especially when it comes to epics with long lead times. A design backlog and kanban is particularly useful when there is more than one designer on a team. Maintaining the board helps the design team decide how to divide up tasks. It also helps design communicate team performance to product and stakeholders. By creating filters and sharing them, we give our teams quick buttons to view the tickets by status or assignee. These filters become handy when we’re looking at the board during stand-up meetings. Here are a few example filters that we’ve used. What stories are ready to be accepted by the Product Owner? Is there too much work in-progress? What should be accepted & working on the test server right now? Not a whole lot to report here (no pun intended). 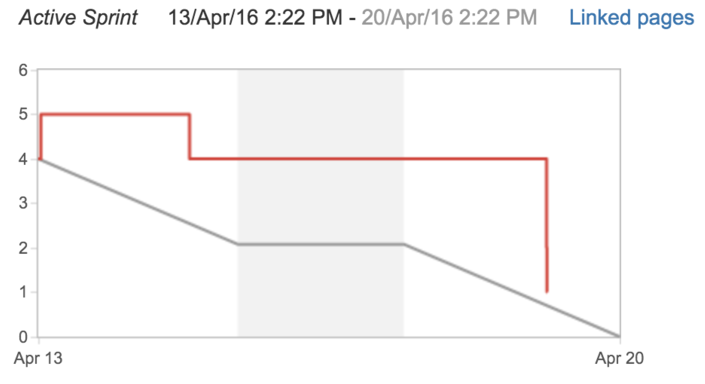 We generally don’t need a chart to tell us if our flow is healthy, but one of our teams uses the burn-down chart during the sprint to keep their eyes on the prize. We wouldn’t grade ourselves on our burn-down charts, but if we see a consistent pattern that affects our ability to deliver working software—e.g. never burning down or adding too many story points late in the sprint—we’d take corrective action. Team X has been using the burndown chart to motivate the team to put more effort into the sprint beginning (vs. goal-posting delivery and acceptance of last-minute changes). 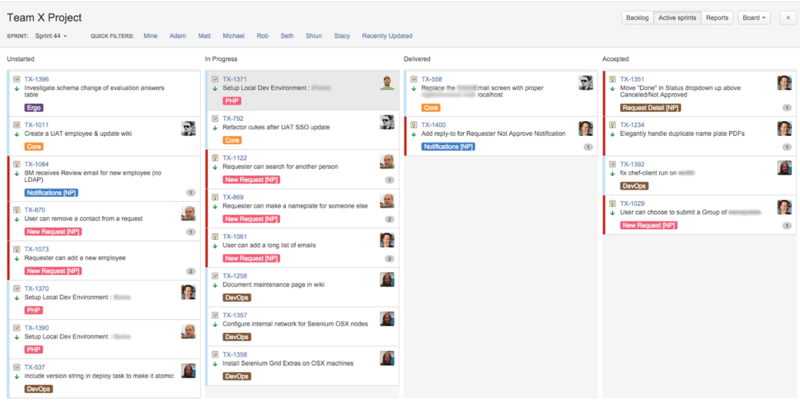 Have you used Jira's agile features? How are they working for your teams? Let us know by leaving a comment or contacting us directly!